/User Preferences & Settings /Frequently Asked Questions /How Do I Reset or Change My Password? Enter you MangoApps email ID in the “Email ID” section of the form. Click the “Reset Password” button to complete the reset request. Check the email account you use for MangoApps for an e-mail with a subject similar to “New password request on the YOURDOMAIN network”. Follow the instructions given in the email to complete the forgotten password process. 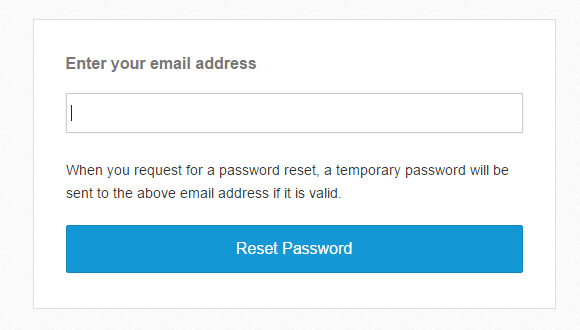 You will receive a message on the “Sign In” -> “Forgot Password” screen similar to the screen below when you need to check your MangoApps email and follow the steps prescribed in the “New password request on the … network” email. Users must also use the MangoApps Web Client when they want to change their password. Change your password from the right top “Change My Settings” drop-down. Then choose “Password” from the left side to reset your password. Choosing a strong password that cannot be guessed will help keep your MangoApps account secure. Type matching passwords into both the “New Password” and “Confirm New Password” boxes of the form. Then click the “Save” button to complete the process. You will receive a message acknowledging that your password has been successfully changed. Forgotten Password with AD/LDAP enabled? Here are the options in a AD/LDAP domain when a AD user or admin has forgotten there AD password. Option 1) Ask the AD admin to reset the password in AD and then re-try login into mango. 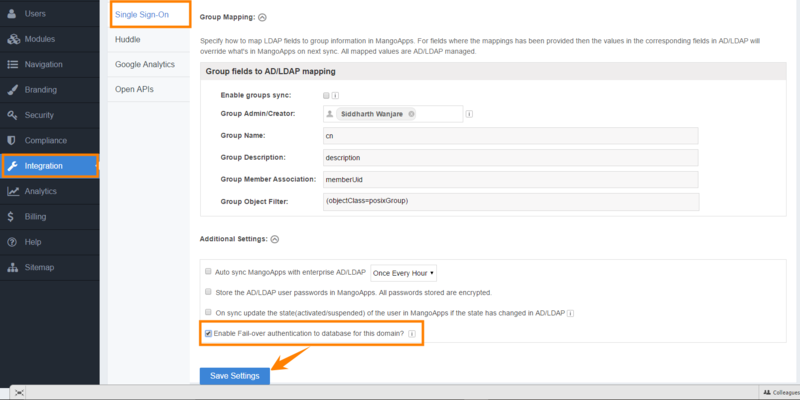 Option 2) “Turn off AD integration” and then request for mangoapps forgot password and use the new password (received in email) with email id to login. Option 3) only in case of AD/LDAP is not reachable because of broken or no network connectivity then if this failover setting is on the user can login using there login id (samAccountName) and AD password. Note: ability to reset password from mango is not available for AD users. Can We Install Mangoapps on Our Own Server?